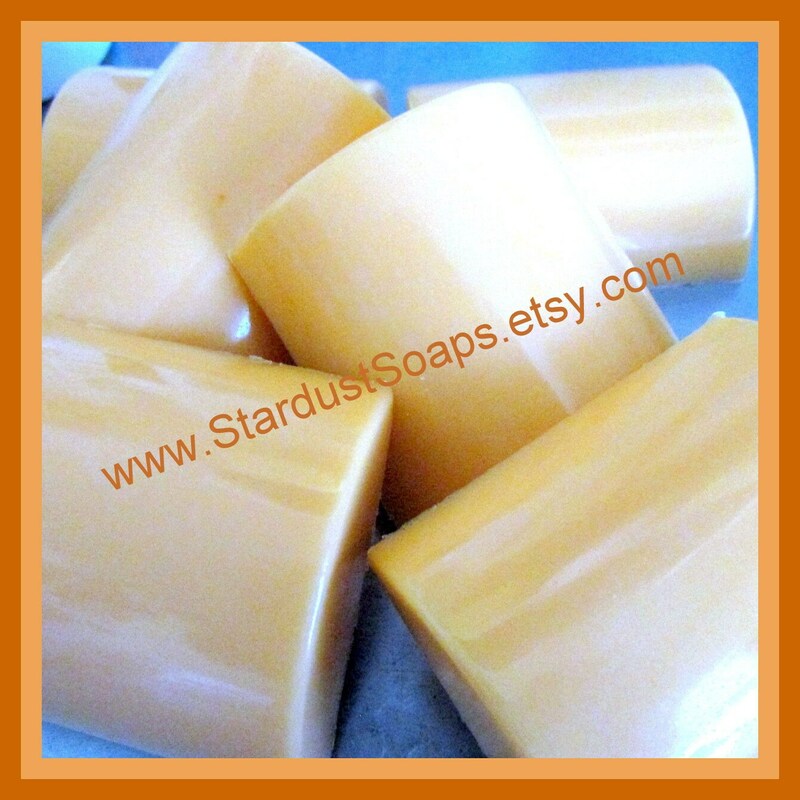 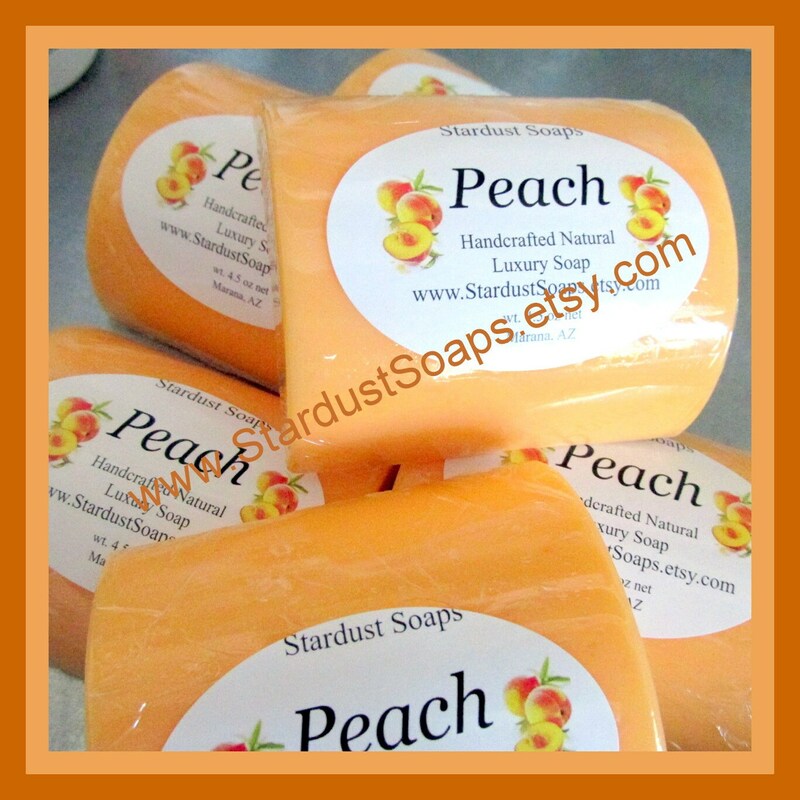 Stardust Soaps Peach handmade bar soap, is rich and creamy, gentle on the skin, easy to use and cleanse skin with. 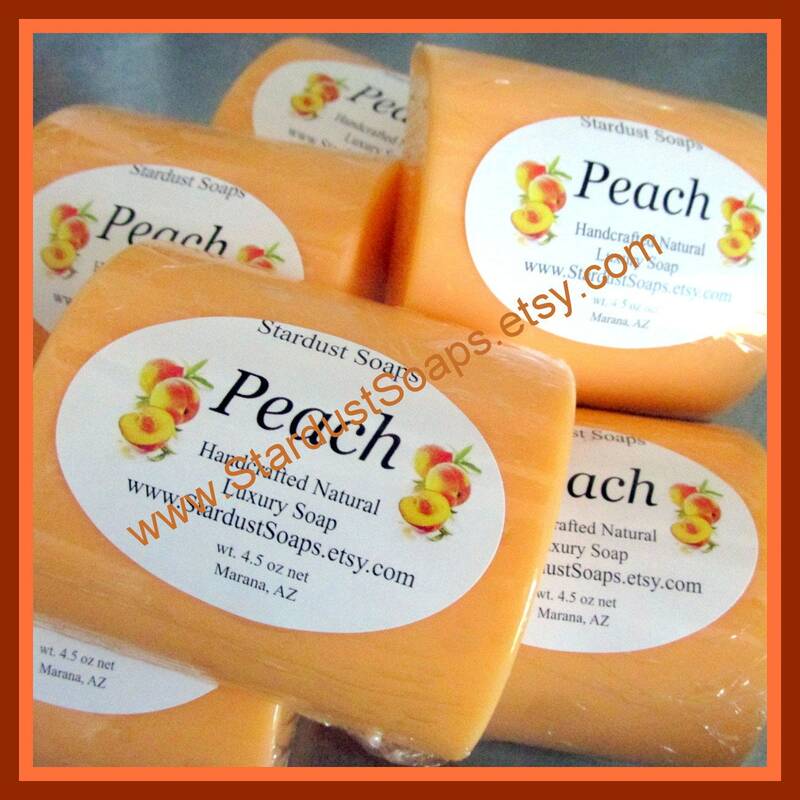 The aromatic fresh peach scent is wonderful. 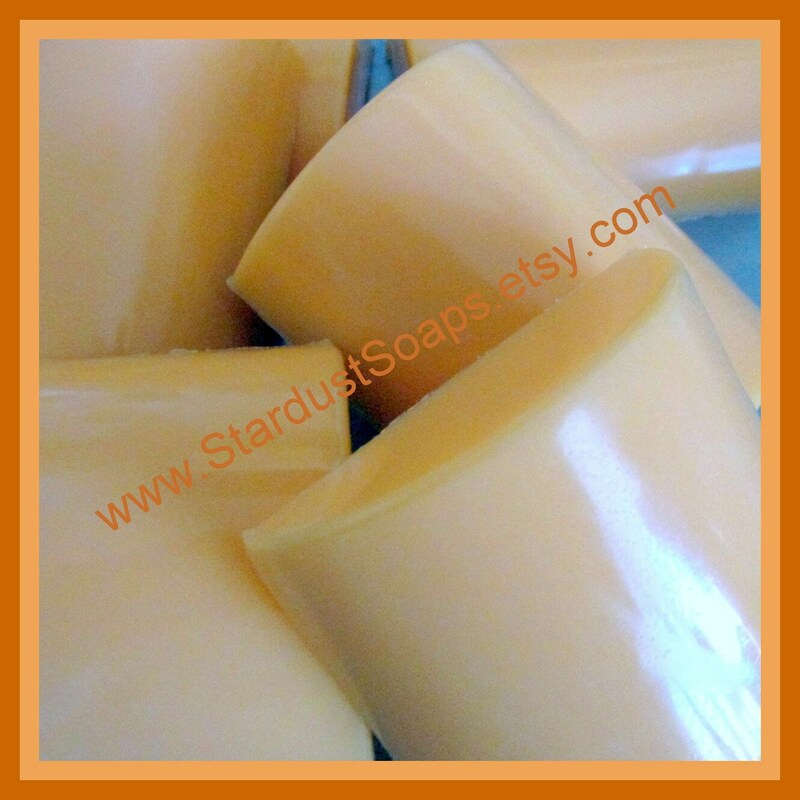 Lathers, and is moisturizing due to the base oil of coconut.